Spring is looked upon as a time when everything is blooming, while autumn can be depressing for some. It signifies the end of summer, the days are getting shorter, the nights are longer, and a cold winter is coming. As a gentleman where others see difficulty or something negative, we see opportunity and something positive. As stated above for the gentleman autumn is a second spring with the opportunity to show off different looks and to use your WHOLE closet and really impress those in your circle. This article will go into accessories and why the modern gentleman looks forward to autumn. Why does the gentleman love autumn? When done right the beginning of cold weather means that there are many things that a gentleman can do that does not cost as much and you do not have to worry about the stifling heat. Walking, driving or cycling to see the changing leaf colors, or heading to a bonfire. If your mate is a kid at heart, what’s better than raking leaves and jumping in them, you would be amazed at how many ladies enjoy little fun things such as that. Autumn also means more cuddling, weather you are sharing an umbrella, you are holding her close as you go apple picking and the cider mill, or the cold weather is a great excuse to stay in and spend quality alone time with your mate and the television. Also no one wants to head into holiday season alone, so some ladies lower their standards to find a partner to share this time with. Ever wonder why there are so many more single people in the summer than the fall? Think about it. Layering is invaluable. For instance in autumn you don’t have to worry about will you be too hot for that sports coat, or is long sleeves too much for this outing. You can still use your short sleeves under your sport coat or go with a long sleeve with a vest. All colors are available and you can really mix and match the things in your closet to make different looks. I personally love scarves, they can be worn different ways in order to achieve different looks. In addition to scarves now you can pull out light sweaters, cardigans, and hats to really accentuate your look. Cooking is so much easier in the autumn. For instance you can still barbecue during this season and grilling is much better on a brisk day than when it is a very warm day. Also, this is when the slow cooker or crock pot really can stretch its legs so to speak. Soups, stews, roasts, chili baked beans, etc.…autumn is the time when you can really mix ingredients and let it slow cook and look like a gourmet chef. Autumn is the time for these heavier dishes, and these dishes can last over a period of time which saves money. Money that can be used for other purposes. Just because you will more covered up by clothing doesn’t mean that you can’t pay attention to your body. Which leads us to our next reason to love autumn. Get a leg up on all the New Year new body people who will put on weight during the autumn and winter months only to try to lose it all in January. Keeping good habits during autumn means that January will be easier. Besides exercising in the autumn is invigorating the crisp air, apple picking, pumpkin carving, a gorgeous canopy of autumn foliage, and the crunch of leaves underfoot, it’s an opening of all your senses. Walking, hiking, and cycling during the autumn gives you a chance to enjoy scenery during a time when a lot of people do not exercise (where others see difficulty gentlemen see opportunity). Who doesn’t enjoy a nice warm cup cocoa. Autumn is the perfect time for this and many other types of warm drinks. Pumpkins are in season and therefore many different pumpkin flavored drinks are available. 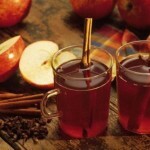 Hot cider is perfect when you are walking with your lady looking at the changing leaves or picking apples. You don’t necessarily have to have warm drinks, spritzers and fizzes give you a nice tingle in your mouth while you enjoy the taste of autumn fruits such as cranberries apples and pumpkins. But where would a gentleman be without having a few alcoholic drinks on deck ready to pass out. An apple cider mimosa is a great early in the day drink, I cup of apple cider, champagne, sugar and ground cinnamon makes a great mimosa. You can substitute pear juice if you choose to. I also love apple pie bourbon. Infuse your bourbon with apples, cinnamon and nutmeg. Slice the apples thin and let it infuse for a few hours, amazing. Use your imagination and USE THE FRESH APPLES to make martinis, sangrias, rum punch that gives a taste of autumn in your glass. We mentioned things you can do when you are dating, or exercising. What about man time. As a gentleman you need the time with your friends or alone, and autumn allows this in spades. Since the weather is getting colder and people still want to do some activities there is a rise in different things that is done indoors. Such as wine and beer tasting are more prevalent. Also, you still have many bands who were playing outdoor venues, which now must be moved indoors. Indoor sports such as bowling, pool etc. are more popular due to the fact that some may not want to venture outside. Many farmers markets are closing for the season so you can catch some great deals on fresh produce. Halloween is coming, the beginning of American football season, the start of the new television season and preparing for the holidays can keep a gentleman busy. Autumn is when not only can you use your whole closet but you also can whip out the must have accessories. Let’s list them in no particular order. Invest in multiple scarves, heavy and light scarves, and wear it during autumn and winter to keep you warm and looking stylish. It can be paired with a pea coat or a casual jacket. A good scarf can range from 20 U.S.dollars on up. Cuff links offer professional look and people know you mean business when you are wearing them. There are many smart and clean cufflinks designs which you can choose and they can as well be made from different kind of materials. 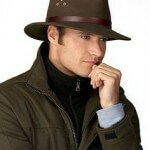 They are being worn now more and more by savvy gentlemen who want to stand out. Cufflinks can run anywhere from 5 U.S dollars on up. I find it interesting that I notice more hats in the summer than I do the winter. Autumn is the time when you can break out your array of hats, from your newsboy, fedora, porkpie, or homburg hat and use it to keep warm. With autumn come the cooler temperatures and we finally have some time to take a rest from all the summer’s hustle and bustle. It brings with it the tranquility we need to prepare for the colder weather and the great holidays that are ahead of us. Just like autumn is the season that’s best for an unpretentious walk in the park where you can enjoy the changing leaves, it is wood notes that make the best fragrance companion for men. The notes that go best with our autumn mood are warm and musky, like patchouli, vetiver, sandalwood, and amber. Spicy undertones and leather fragrances are great autumn fragrances. Go to the mall and try out what fits best for you, I personally like Polo intense red or Calvin Klein Euphoria. Neither one will break your bank. This staple is a must have for any gentleman, autumn brings light snow, rain, and falling leaves. You need to make sure you and your clothes stay dry. Also, it’s a great excuse to get closer to the one you are with. I hope I was able to influence you to embrace and love autumn like I do. It should not be seen as the end of summer but the beginning of a whole new world with new experiences. From the less humid days to the cool nights, to the Halloween costumes, to the seasonal foods, to American football season starting and the ease of dating autumn could be considered the best time of the year for gentlemen. If you are prepared and embrace it then you will feel like I do and love autumn because overall the positives of autumn is numerous.